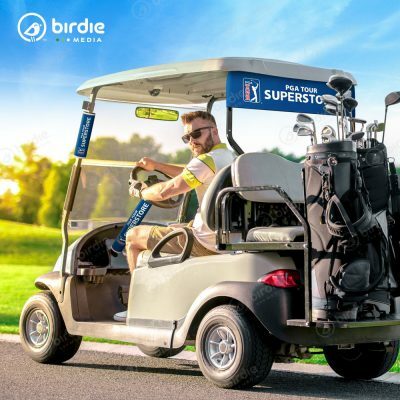 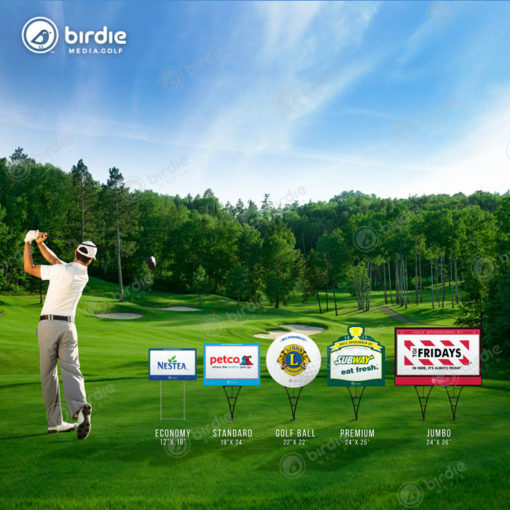 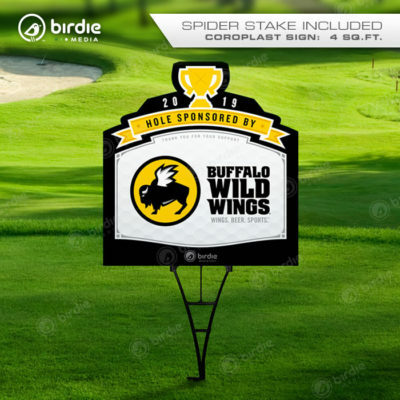 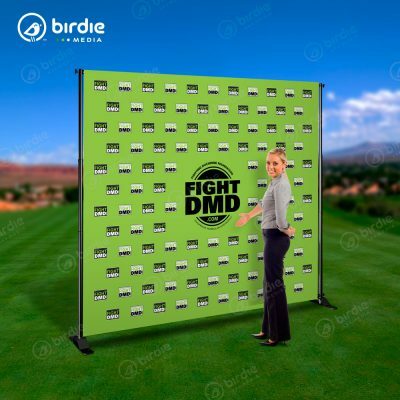 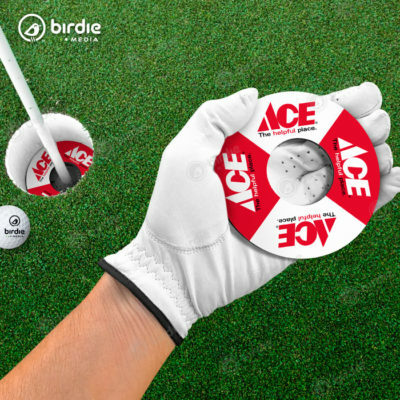 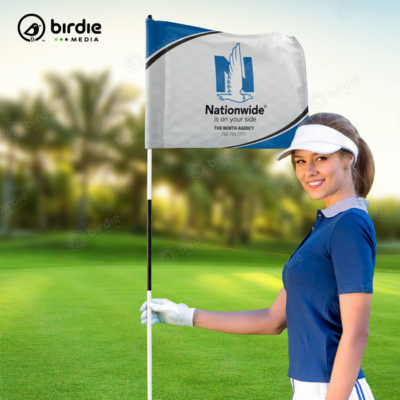 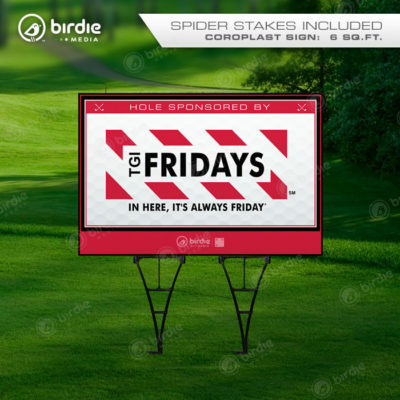 Golf sponsor tee signs are essential for promoting charity event sponsors and Birdie Media offers eye-catching exclusive tee signs that make a statement and are visually engaging. 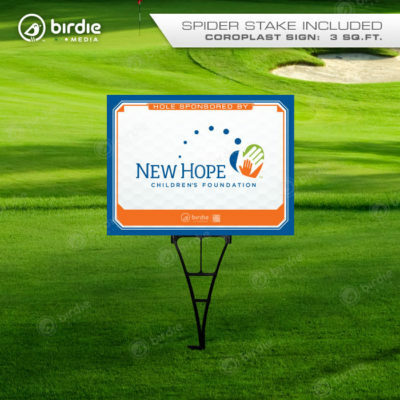 Every charity tournament needs quality tee box signage to properly thank golf sponsors. 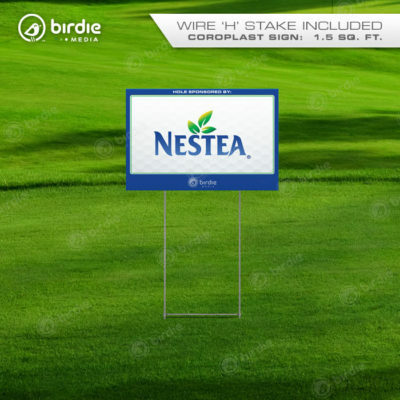 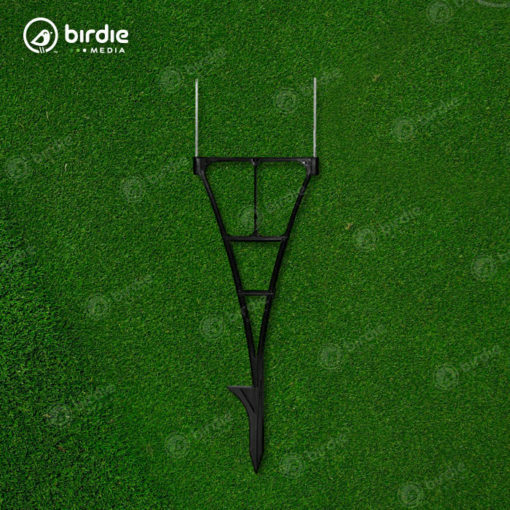 Choose from our five (5) custom-designed golf tee signs that visually complement your sponsors brand. Our custom Diecut Golf Sponsor Tee Signs are shaped like an oversized golf ball and really make an impact at each tee box. 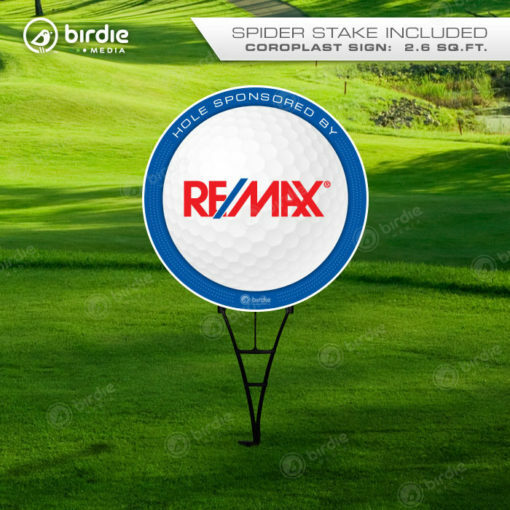 Each is printed single-sided, full-color on 4mm Coroplast and include one (1) premium PVC Spider Stake per sign.